Joel D. Siegal concentrates his practice on significant family law matters, as well as complex litigation in the federal and state courts. Mr. Siegal has substantial experience in representing clients in a wide range of matters including divorce actions, commercial litigation, estate, shareholder and partnership disputes, and breach of fiduciary litigation. He served as law clerk to Judge Arthur S. Lane of United States District Court for the District of New Jersey in 1961-62, and to Judge Phillip Forman of the United States Court of Appeals for the Third Circuit in 1963-64. In 1991, the Governor of New Jersey appointed Mr. Siegal as a Commissioner to the National Conference of Commissioners of Uniform State Laws, where he was a member of the Drafting Committee of the Uniform Interstate Family Support Act, which was enacted with some modifications by most of the States. He is a past President of the Association of the Federal Bar of the State of New Jersey, former member of the Advisory Board of the Association, and has served on the United States District Court Lawyers Advisory Committee. He was also a member of the N.J. Senator’s Judicial Selection Committee for the United States District Court (N.J.) for 2003-2005. Mr. Siegal was a member of the Working Group of the Subcommittee on Commercial Litigation of the New Jersey Supreme Court’s Committee on Civil Case Management and Procedure. He was also a participant and speaker in the Media/Bench/Bar Dialogue “The Big Trial as a Media Event,” sponsored by Rutgers Law School pursuant to a grant from the S.I. Newhouse Foundation. Mr. Siegal is a member of the Bars of New Jersey and New York, as well as the federal and appellate courts in those jurisdictions, and the Supreme Court of the United States. He was selected at times for inclusion in the New Jersey Super Lawyers by New Jersey magazine, as well as being a lecturer concerning divorce issues at seminars for attorneys. Law Secretary to: Hon. Arthur S. Lane, U.S. District Court, New Jersey, 1961-1962; Hon. Phillip Forman, U.S. Court of Appeals, Third Circuit, 1963-1964. Member, Working Group of the Subcommittee on Commercial Litigation, Supreme Court of New Jersey Committee on Civil Case Management and Procedure, 1983-1984. Speaker at the General Membership Meetings of Westchester Women's Bar Association (N.Y.) on the Landscape of Family Law in New Jersey and Settlement Strategy at seminars for New Jersey lawyers. Author: "Non-Matrimonial Claims in Matrimonial Actions," The Matrimonial Strategist, November 1985 and "Attacking Settlement Agreements," The Matrimonial Strategist, August 1986. Participant, Media/Bench/Bar Dialogue, "The Big Trial As a Media Event," October 6, 1988, sponsored by Rutgers School of Law per grant of S. I. Newhouse Foundation. Commissioner, National Conference of Commissioners on Uniform Laws, 1991-1998 appointed by Governor of New Jersey. Member, Drafting Committee and Standby Committee of Uniform Interstate Family Support Act, drafted by National Conference of Commissioners on Uniform State Laws, 1991-1998. 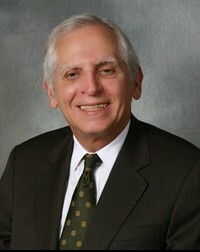 Member, U.S. District Court, District of New Jersey, Lawyer's Advisory Committee, 1991-1992. Fellow of the American Bar Foundation in 1999 —, in recognition of professional attainment, distinguished service and commitment.